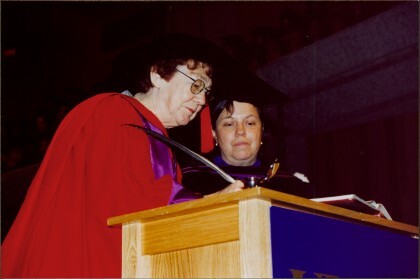 Photograph depicts Bridget Moran and unidentified woman at podium. Moran signs book with feather pen. Item is part of the Bridget Moran fonds.